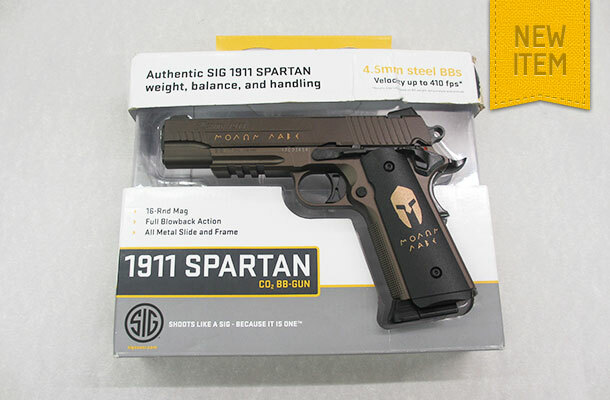 The SIG “1911 Spartan” features a semi – automatic blowback action, and all metal slide. It fires 4.5mm caliber BBs from a 16 shot capacity magazine. The sights are highlighted in white for ease of sighting.